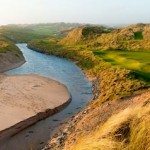 Trump International Hotel & Golf Links Doonbeg is a deluxe property overlooking the Atlantic and the Greg Norman designed golf links. Accommodations are in multi-room luxury suites, configured with from 1 to 4 bedrooms, living room with fireplace, and fully equipped kitchen. Suite amenities include marble bathrooms en suite for each bedroom, flat screen TV’s, DVD & CD players, complimentary pay-per-view movie channels, stereo, and IDD phones with data port and wireless internet access. 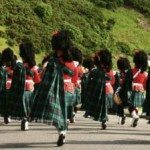 Dining options include a fine dining restaurant overlooking the Atlantic, “The Long Room”, as well as a casual restaurant “Darby’s” offering traditional Irish pub fare. Also featured is the White Horses Spa with Kristen Florian Spa Range, and a full service health and fitness center. 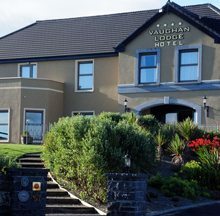 Opened in June 2005, Vaughan Lodge is a 22-bedroom four star hotel is situated just a short walk to Lahinch Golf Club and Lahinch town center. 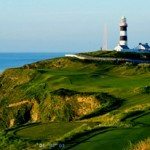 Family owned and operated by Michael Vaughan, who has a long-time family history in the hotel business in Lahinch and Ireland (Michael was formerly with the Berkeley Court and Dromoland Castle) along with his wife Maria. The rooms are large and spacious with all of the modern amenities including power showers and orthopedic beds. The Breakers Lounge provides a wonderful venue for a drink beside the cozy fire. 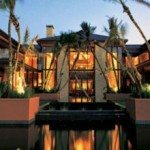 The Bistro restaurant where Michael will personally welcome you each evening will offer wonderful local seafood and Prime Angus beef just to name a few, along with fresh local produce. 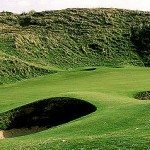 The hotel has a putting green where you can warm up prior to playing Lahinch Golf Club or Doonbeg Links. 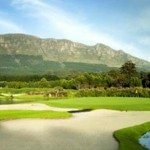 Vaughan Lodge is a golfer’s delight! 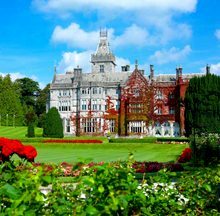 Located in the charming village of Adare, Adare Manor is a five-star deluxe castle resort is set amid 840 acres of lush countryside, overlooking breathtaking formal gardens, a superb Trent Jones, Sr. parkland course, and fascinating ruins. The rooms are luxuriously furnished, and the property’s facilities include an indoor heated pool, fitness center, new complete spa, as well as outdoor pursuits including fishing, falconry and hawk walk, horseback riding, clay pigeon shooting and golf. 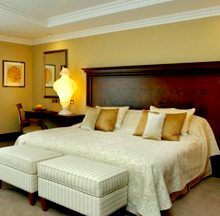 Adare Manor offers several accommodations choices: the deluxe rooms in the main Castle; affordable self-catering accommodations in the two and four bedroom Townhouses; 8 bedrooms in the Carriage House; or for groups and families traveling together, fully equipped three bedroom villas. 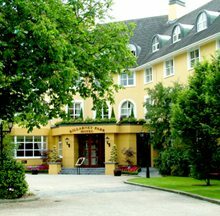 The Killarney Park Hotel is a deluxe five-star hotel superbly located adjacent to the center of town and just a short walk to all of Killarney’s many shops, pubs, and restaurants. Warm, soothing colors, log fires, elegant antiques and discreet, efficient service make you think you are in an elegant Victorian country home. 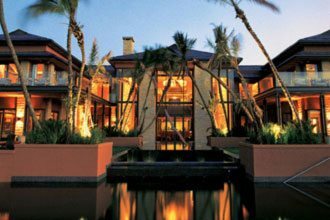 Facilities include indoor swimming pool, outdoor hot-tub, Jacuzzi, library and drawing room, billiards room, and a luxurious full service Spa. Excellent restaurant and bar as well. 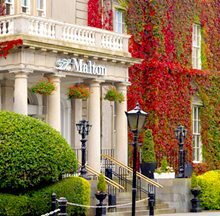 Formerly the Killarney Great Southern Hotel, the Grand Old Dame of Killarney Hotels, the Malton was recently completely refurbished. This lovely 4-star hotel is within a short walking distance to the center of town, yet it is set within 20 acres of landscaped gardens. The glowing hearth in the lobby exemplifies the warm welcome you will receive, and the old world features combine with every modern convenience to create true luxury. The Malton’s facilities include 24-hour room service, The Garden Room and Peppers Restaurants, The Grand Foyer & Coffee Rooms for afternoon tea and drinks, the Punch Bowl Bar, and health and fitness facilities including an indoor heated swimming pool, gymnasium, sauna, steam room, Jacuzzi, monsoon shower, 2 outdoor tennis courts, and Innisfallen spa including massage & facials. 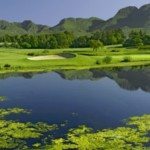 Owned and managed by the Treacy family, the Killarney Lodge provides a relaxed and welcoming atmosphere which will make your stay truly memorable. 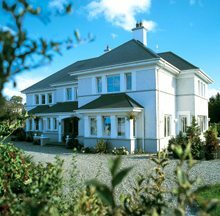 A four star guesthouse with spacious, brightly decorated rooms, the property is conveniently located in one of Ireland’s most popular and beautiful areas, and is just a short walk to the town center and the many wonderful shops, restaurants and pubs Killarney has to offer. The Killarney Lodge serves one of the best Irish breakfasts found in Ireland. 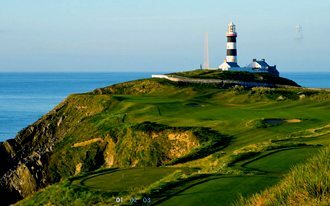 The Clubhouse at Old Head Golf Links, with its refined and relaxed ambience, now includes 15 luxurious suites which complement the magnificent beauty and stunning setting. 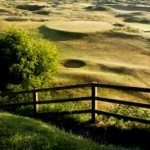 The Old Head Golf Links Seaview Suites feature a blend of opulence and comfort. Offering magnificent balcony views, all suites are adorned in a style that evokes the feeling of pure indulgence, stunningly furnished and spaciously created. 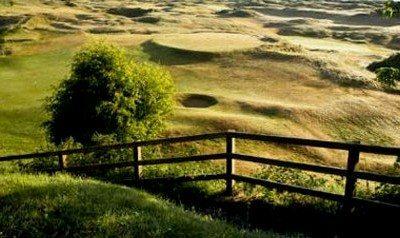 The ultimate in pampering and rejuvenation is offered at the Old Head Thermal Suite/Spa which offers a place for residents to unwind and restore. 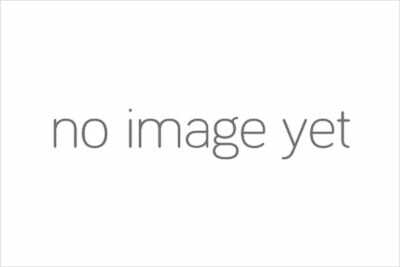 A variety of beauty and therapeutic treatments are available by advance appointment. 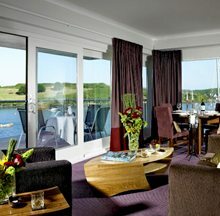 The Trident Hotel is a fine four star property with a superb waterfront location overlooking Kinsale Harbor. 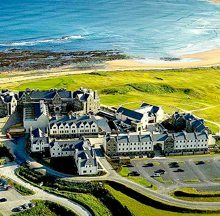 A recent multi-million euro development has upgraded the hotel facilities and added 30 beautifully-appointed executive bedrooms. The award-winning Savannah restaurant is a member of the Kinsale Good Food Circle, and the Wharf Tavern provides good food and evening entertainment. Leisure facilities include sauna, steam room & Jacuzzi.